भारत नाट्य शास्त्र 10 प्रकार के नाटक या रुपक की पहचान करता है जो नाटक, प्रकराना, सामवक्र, इथामाग्रा, दीमा, व्यायोग, अंक, प्रासना, भाना और विठी हैं। नाटक अक्सर महाकाव्य सामग्री पर आधारित थे, जबकि प्रकरण (episode) लेखक की अपनी रचना थीं। भरत के अनुसार, नाटक में केंद्रीय चरित्र धर्म और वेदों की हड़ताली (विचित्र) क्षमताओं, गौरवशाली और संरक्षक (सहायक) के गुणवान थे, जबकि प्रकरण में, पात्रों के पास सभी प्रकार के वृत्तियां (क्षमता) हो सकती थीं (जैसे गुण). 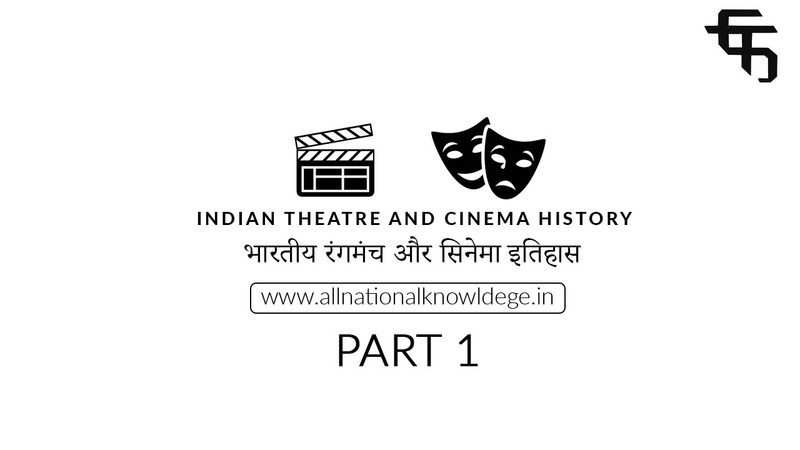 The Sanskrit theatre was as traditionally performed on sacred grounds such as in temples and its courtyards and on in palaces. Its objective was to educate as well as entertain the people. As a form of art, it was bound by certain rules and traditions. For example, a sutradhar (holder of string) who was like a stage manager/ director was considered integral to the play, Invocation of God and pre play rituals and( Purvanga, comprising music and dance) at the beginning of the theatrical performance was another itself could employ male as well as female actors or both. But certain types of sentiments and characters were considered better suited for either male or female and hence, there was a typecasting of roles to a certain degree. It is a classical dance of Assam which has its origin in Krishna Bhakti Vaishnavism . 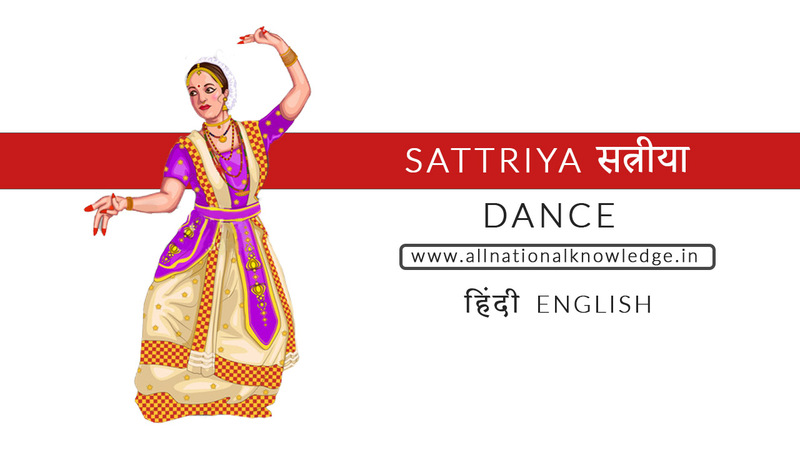 This dance is also attributed to the 15th century Bhakti saint Sri Sankardev, who propagated the Vaishnava faith through it.Because of its religious character and association with the Sattras, this dance style has been aptly named Sattriya. The word Sattriya originated from Sattriya which were the monasteries or temples. The dance was performed by the Vaishnava monks, hence the dance form is Ritualistic and has temple origin. The dance also incorporates one act plays which are called Ankiya-Nat which is a ballad form of dance drama combining the religious as well as aesthetic elements. The themes are often related to Lord Krishna or other avatars of Lord Vishnu and is performed usually by male monks in groups. The dance has principles strictly laid down with respect to Acharyas, music, footwork, hast mudras, and other aspects of dance. It is evolved in two streams - the Gayan-Bhayanar Nach and the Kharmanar Nach. The dance is performed to the accompaniment of Borgeets ( composed by Sri Sankardev and other saints ). Khols (two faced asymmetrical drums ), flute, harmonium, and violin are instruments which are a part of the performance. Its exponents include Ghanakanta Bora Barbayan and Dr. Anwesa Mahanta amongst here. Odissi dance , one of the many forms of Indian classical dance. This classical dance form is of Orissa (now odisha ) and is centuries old. Odissi is a dance of love and passion touching on the divine and the human, the sublime and the mundane. The Natya Shastra mentions many regional varieties, such as the south-eastern style known as the Odhra Magadha which can be identified as the earliest precursor of present day Odissi. Reference to it is also found in udayagiri and khandagiri caves of 2nd century BCE , in the ancient text, natya shastra, and in the hall of dance (Nata mandap ) at sun temple at Konark built in the 13th century CE. The dance was initially performed by the Maharis or the Devadasis in the temple. But later they came to be employed in the royal courts leading to the degeneration of the art form. Later, a class of boys called Gotipuas were trained in the art. 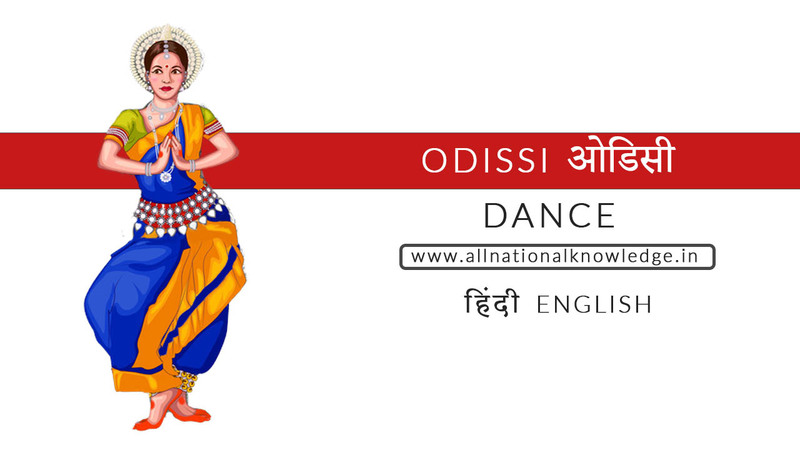 Odissi is primarily a dance of love and passion. The facial expressions (Bhava), the hand gestures, and the body movements are together guide (channelized) by the performer to depict the Ras. The body movements are built around the postures, called Chowk and Tribhanga While Chowk is a masculine stance which is imitating a square, the Tribhanga is a Feminine and more graceful stance. Here, the body is bent at three positions at the neck, torso, and knee (Tri-bhanga: thrice-bent ). Mohiniattam is another classical dance form popular in Kerala. Mohiniattam literally interpreted as the dance of ‘Mohini’, the celestial enchantress of the Hindu mythology, is the classical solo dance form of Kerala. The dance is said to have structured by the Travancore Kings. But in the 19th and the early 20th century owing to the devadasi system, it declined, till it was revived by the Malayali poet V N Menon in the 1940s. 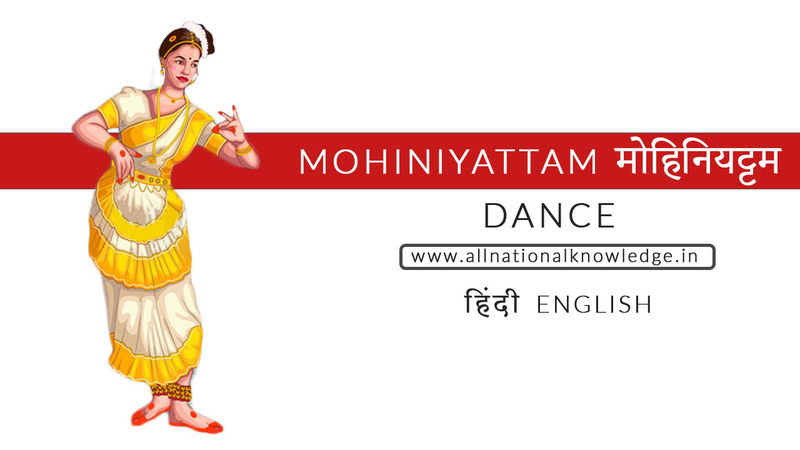 The word Mohiniattam is derived from two words. Mohini, a mythological enchantress and Attam (Rhythmic motion or dance ). Thus the dance of mohini is the inspiration of this art. Mohini is referred in Hindu mythology as an incarnation of Lord Vishnu, a celestial enchantress who emerges during the distribution of nectar between the Asuras and Devas after the Churning of the ocean. Also the character is a central figure in the story of defeat of Bhasmasura. It is a Feminine and Lasya form of dance which incorporates graceful and swaying body movement ( akin to swinging palm leaves and gentle undulation of ocean waves). It does not involve abrupt body motion, sudden jerks, or even leaps. The footwork is soft and not terse and the whole demeanour is graceful and sensuous. The dance lays emphasis on abhinaya and expression of the emotion of the character with which the performer identifies. The costume includes white, off-white, cream coloured saris with golden or coloured embroidery and borders. The dance is performed to the accompaniment of vocal song ( a mix of Malayalam and Sanskrit) and instruments like Mridangam (Barrel Drum), Idakka ( Hourglass drum), Kuzhitalam or elathalam (Cymbals), etc. Famous exponents include Dr. kanak Rele, Bharati Shivaji, Sunanda Nair, etc. It is a famous dance form of Manipur ( a state in Northeastern India). This art is centuries old and has a religious character. Because of its geographical location, the people of Manipur have been protected from outside influences, and this region has been able to retain its unique traditional culture. 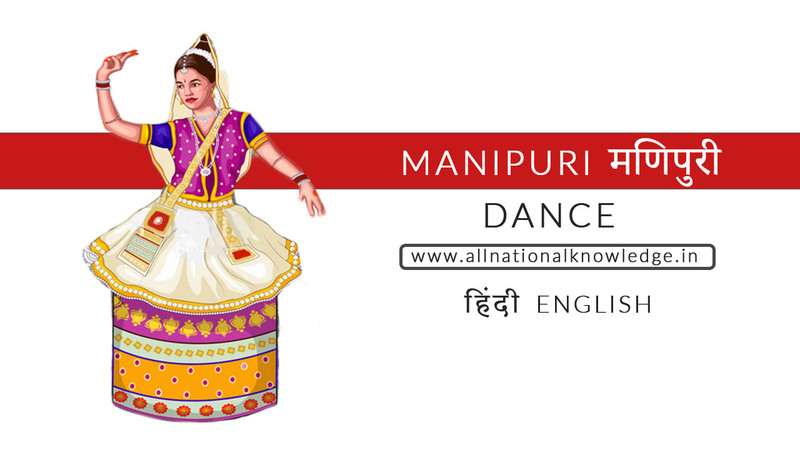 The origin of Manipuri dance can be traced back to ancient times that go beyond recorded history. The dance in Manipur is associated with rituals and traditional festivals, there are legendary references to the dances of Shiva and Parvati and other gods and goddesses who created the universe. The dance is specially performed during the Manipuri Festival of Lai-Haraoba. Lai Haraoba is one of the main festivals still performed in Manipur which has its roots in the pre-Vaishnavite period. Lai Haraoba is the earliest form of dance which forms the basis of all stylised dances in Manipur. Literally meaning - the merrymaking of the gods, it is performed as a ceremonial offering of song and dance. However, dance pertaining to Shaivism ( worship of Lord shiva ) and shaktism are also integrated. The principal performers are the maibas and maibis (priests and priestesses) who re-enact the theme of the creation of the world. A common form of this dance also depicts Krishna Leelas. The Manipuri dance incorporates three dance forms. Sankirtan - This is a Devotional Kirtan form of dance. Thang Ta ( also called Thang Pah ) - This is martial art form of dance. The dancing technique involves depiction of the Rasa using the entire movement of the body and there is no undue emphasis on facial expression or the bhava to express the Rasa. Further, There is no use of ankle - bells (Ghungroo) in this dance form. Instruments like pung (barrel drum), Kartals (cymbals), Harmonium, flute, etc are used. The Ashtapadis of Jayadeva's Geeta Govinda are very popular and are sung and danced in Manipur with great religious fervour. Besides the Ras and other leelas, each stage in one's life is celebrated with Sankirtana performances - child birth, upanayanam, wedding and shradha are all occasions for singing and dancing in Manipur. The whole community participates as song and dance form part of daily life expressions. Its exponents include Elam Endira Devi, Darshana Jhaveri, Y. Gambhini Devi, Guru Bipin Singh, etc . 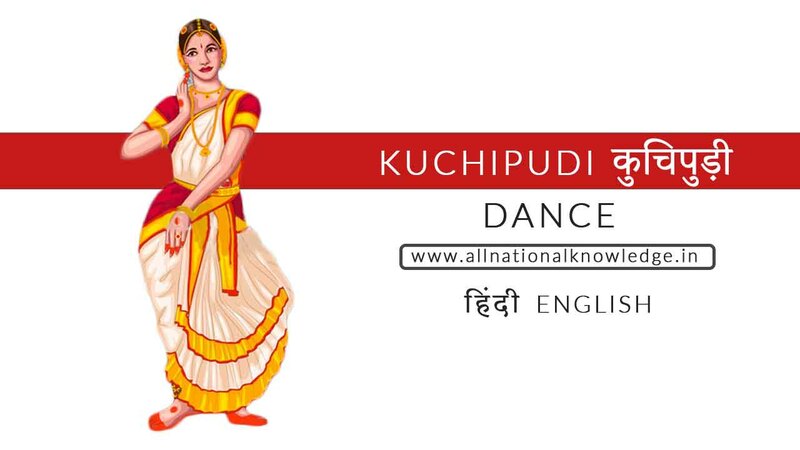 Kuchipudi is one of the classical styles of Indian dance.The classical dance form is popular in Andhra Pradesh, Telangana, and adjoining regions. Kuchipudi is the name of a village in the Krishna district of Andhra Pradesh. it is said to have originated in a village kuchipudi in the Krishna district in 17th century under the aegis of a vaishnava saint Siddhendra yogi. He was steeped in the literary Yakshagaana tradition being guided by his guru Teerthanaaraayana Yogi who composed the Krishna-Leelatarangini. Originally, this art form was a dance darma where themes from krishna leela and other vaishnava traditions were performed late, solo tradition also developed in this art form. Kuchipudi involves all three elements of dance viz. Nritta, Nritya , and Natya. It involves substantial stage movement and dexterous footwork. The style is quite expressive with use of gestures of hand, and expressions of eyes and face. Some features of the dance form are similar to that of Bharatnatyam such as ardhamandala which is a partial squat with legs bent. However , while Bharatnatyam is a dance of temple tradition, where emphasis on geometric perfection spiritual aspect is more, Kuchipudi is more sensuous with more supple body movements. Some performances exhibit dancing with several pots on their head or dancing on the rim of a brass plate. 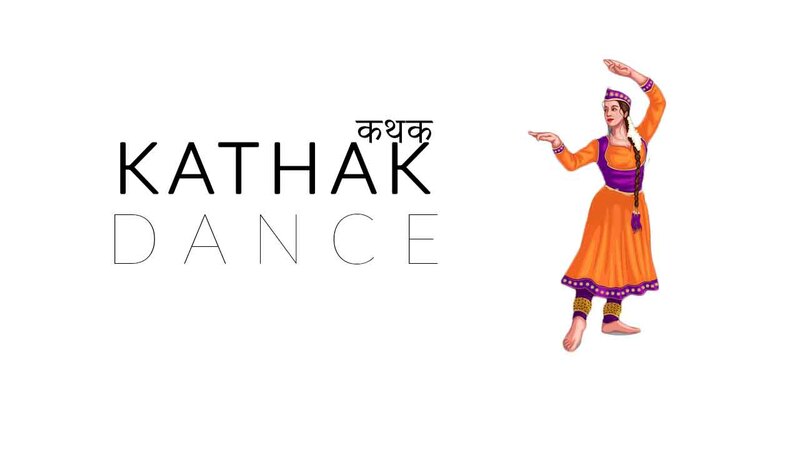 The word kathak is derived from katha, meaning a story. Thus the dance originated as a narrative form of storytelling, incorporating expressions and body movements. it became popular during the Bhakti movement ( as a narrative of Radha - Krishna love) . it is particularly popular in uttar pardesh and other parts of northern India. The emergence of Raslila , mainly in the Braj region (Mathura in Western U.P.) was an important development. It combined in itself music, dance and the narrative. Dance in Raslila, however, was mainly an extension of the basic mime and gestures of the Kathakars or story-tellers which blended easily with the existing traditional dance. It has three distinct Gharans- the Lucknow Gharana which emphasises on bhava, the Jaipur Gharana which stresses on laya (rythm), and Benaras Gharana. The dance is characterised by its circular pirouettes and dexterous footwork and is performed to the accompaniment of Hindustani Classical music. Use of ghungroos is an important feature of this dance form. The important elements of dance include Amad (entry), Salami (salutation), Thaat (soft gliding movements), Tukada, and Tora or cadences ( which are fast rhythmic but small pieces of performances). This is followed by Nritta performed on a nagma. Today, Kathak has emerged as a distinct dance form. Being the only classical dance of India having links with Muslim culture, it represents a unique synthesis of Hindu and Muslim genius in art. Further, Kathak is the only form of classical dance wedded to Hindustani or the North Indian music. Both of them have had a parallel growth, each feeding and sustaining the other.